Use the following document to present your learning goal, scale, and essential questions for a unit on continents and oceans. 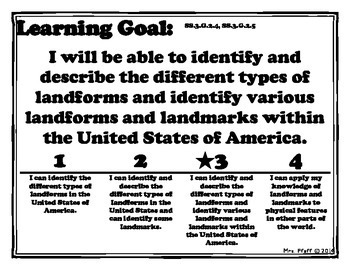 Also includes printable learning goal and scale for students to glue into a learning journal. 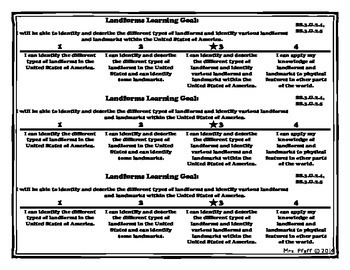 These standards follow the social studies Florida Next Generation Sunshine State Standards for 3rd grade.